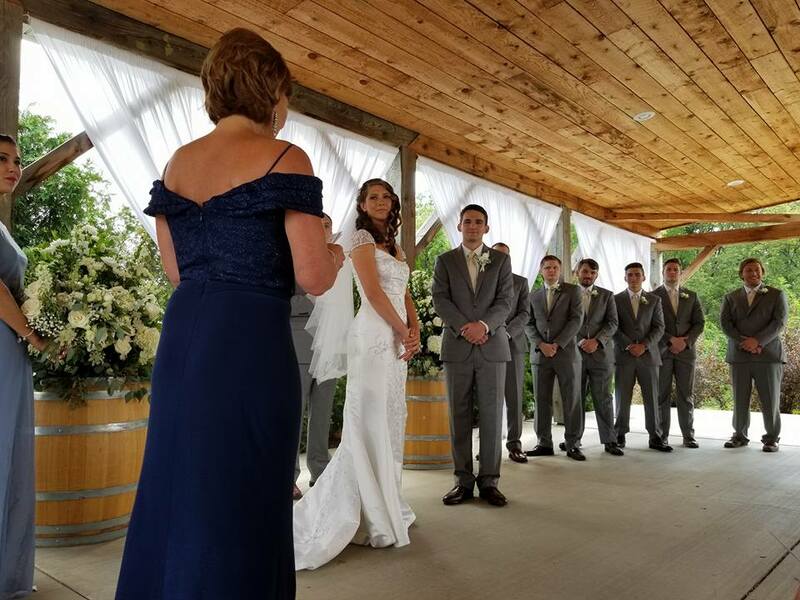 Savannah, Chris and their families host an extraordinary wedding day and exchange vows at Quincy Cellars! To start the wedding day, the ladies got ready at the hotel where they had lodged after the rehearsal. Savannah arranged for an independent stylist, Lindsey Allen and her assistant to fashion her hair and make-up. 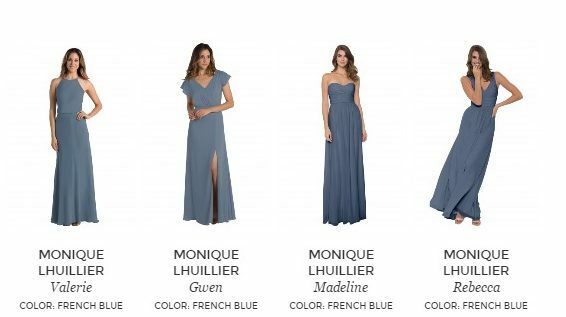 The two coiffeuses also styled the bridesmaids, mother-of-the-bride and mother-of-the-groom. The bride wore her hair with amazingly perfect flowing curls, pinned back on one side with a breathtaking white floral hair pin. Mimosas and lunch were provided to the bridal party while getting gussied up for the storybook day. 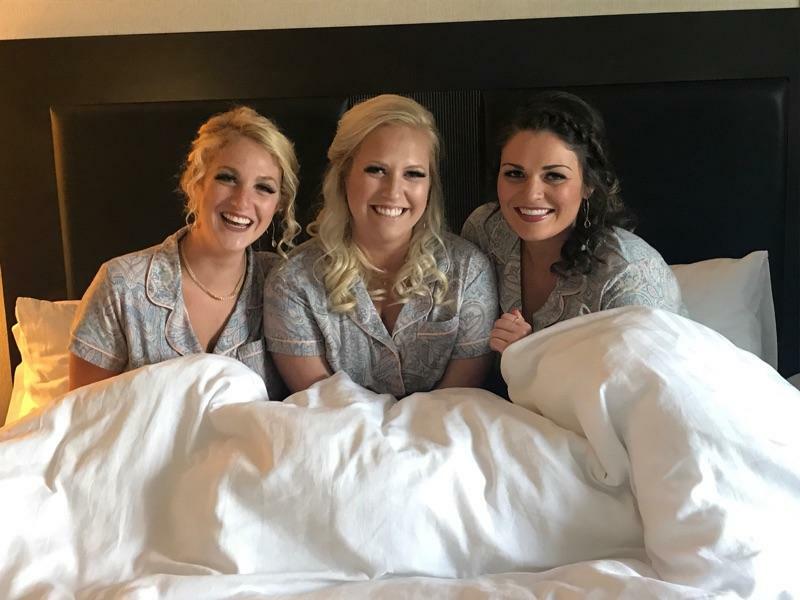 Savannah’s bridesmaids are looking fab and giddy – ready for the big moment! 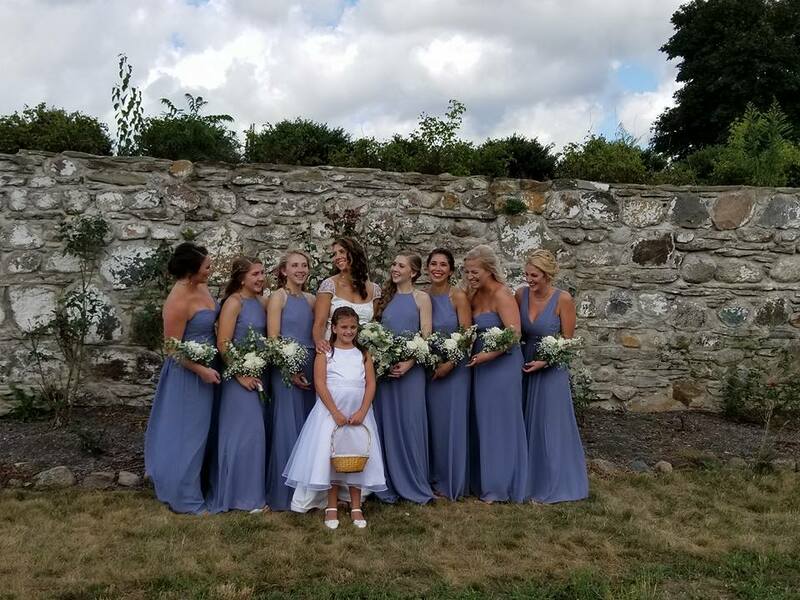 A candid of Savannah and her court at Quincy Cellars! The pavilion at Quincy Cellars was exquisitely decorated for the wedding ceremony. Special Occasions Rental & Designs hung elegant drapery softening the natural beauty of the wood structure. Tender musical compositions were performed by violinist Courtney Vargo and provided a warm welcome, setting the stage. Guests were seated. 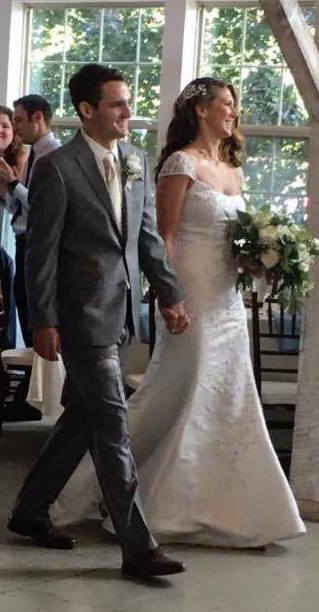 The wedding party and groom walked down the aisle and stood at the altar. Next, the radiant Savannah Bubin made her entrance. Savannah wore a wedding white, trumpet style Demetrios gown with delicate bead-work and cap sleeves. Savannah told us she was casually looking and unexpectedly found the meant-to-be gown at All Brides and Boutiques consignment shop in Erie. It truly was an amazing find! Savannah held a bouquet beautifully designed to show off her dress and fit well with the natural beauty of the day. It was created by Allburn Florist, out of Erie as well. The couple’s dear friend conducted the ceremony. Chris and Savannah recited original vows. They decided to keep it traditional and recite the same vows as one another while doing something personal by creating their own nuptials. Both mothers performed readings during the ceremony as well. Savannah and Chris’ wedding ceremony, in the pavilion. Cheese, crackers and vegetable trays were available at the bar for the cocktail hour. Additionally, servers dressed in black-tie attire presented guests with delectable cilantro lime shrimp and a Quincy Cellars exclusive appetizer – bacon wrapped dates, stuffed with parmesan cheese. 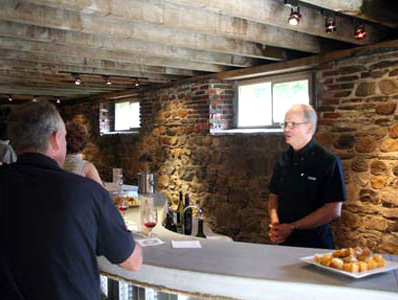 The open bar included a full line-up of Quincy Cellars wines. The small-lot Verism blend and Rose Catawba from Sensory Winery & Art Gallery were also featured. Two of 7 Sins Brewery craft beers were on tap – the Pride Pilsner and Sloth Belgian. Deejay John Gallagher kicked off the night spinning tunes. He handed the mic to the best man and matron of honor for a champagne toast. Next, the father-of-the-groom gave a heart-warming blessing celebrating both families coming together and offered thanks for the guests, food, drink and evening ahead. 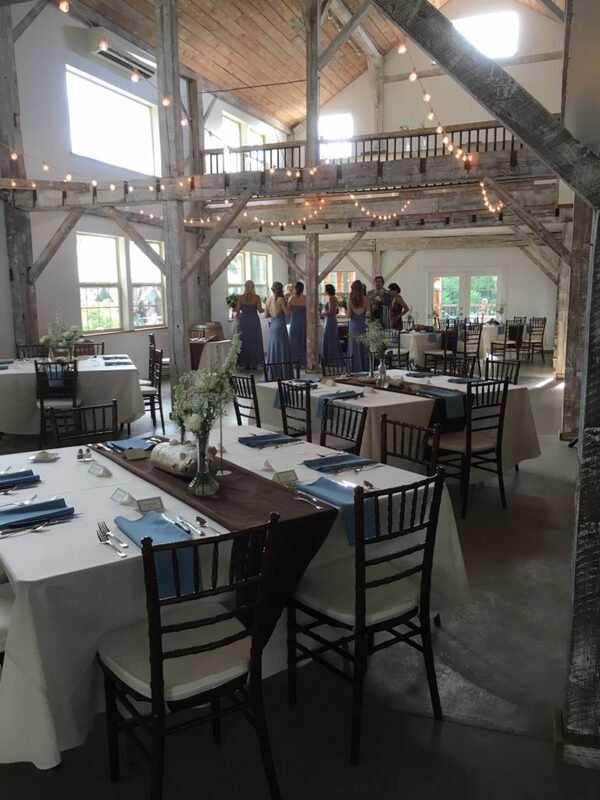 The main hall in the restored barn was set with ivory table linens complemented with a brown runner and slate blue napkins. Fruitwood chivari chairs with ivory pads were also used for the country chic wedding reception dinner. All items were rented from Party Plus at Grand Rental Station in Harborcreek. A vase with two white roses and baby’s breath flowers adorned the tables and diffused an amazing scent throughout the hall. The simple yet gorgeous centerpieces were created by Savannah and put together with the help of her bridal party. Chris created complementary candle arrangements using driftwood he collected at Presque Isle. Other floral arrangements were placed at the sweetheart table, wine barrels and other spots, adding even more natural elegance to the venue. Savannah purchased the flowers from Costco and Fifty Flowers. The hall is beautifully decorated for the duo entree dinner. Chris and Savannah were romantically seated at a round sweetheart table for the meal. Savannah and Chris at the sweetheart table. After the cocktail hour, guests found their seats and started dinner with a salad. Field greens with a chef’s choice vinaigrette and freshly baked bread, spread with garlic thyme butter were served. Next, was a surf and turf entree – adult guests were served lobster tail with dill butter and a filet mignon with red wine shallot and mushroom reduction. Feel free to savor that for just a moment. A serving of house-made roasted garlic mashed potatoes accompanied the duo entree. A harvest of colorful seasonal farm-stand vegetables added vibrance, flavor and snap to the plate as well. Chidren were served house-made chicken tenders and french fries, along with a serving of fresh fruit and Welch’s sparkling grape juice. DJ John Gallagher kept the party moving and got everyone on the dance floor. Savannah and Chris started with a very sweet dance of their own – so romantic! The party was so fun even the grandparents enjoyed themselves! 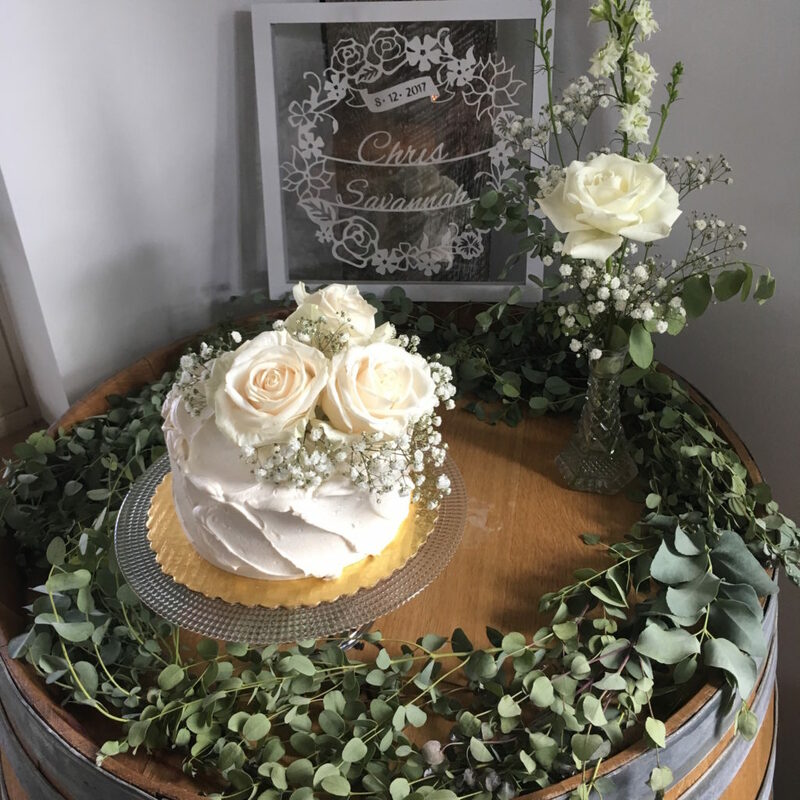 Savannah chose Wegman’s to bake the cake and Quincy Cellars own, Amy Nolan put together an elegant arrangement, on the wine barrel. Photographer Maureen Rizzo and videographer Julie Henthorne captured many moments of the special day. The photographs and film will be finished after the couple returns from their honeymoon. Savannah and Chris will honeymoon in Hawaii and continue their fairytale wedding experience. 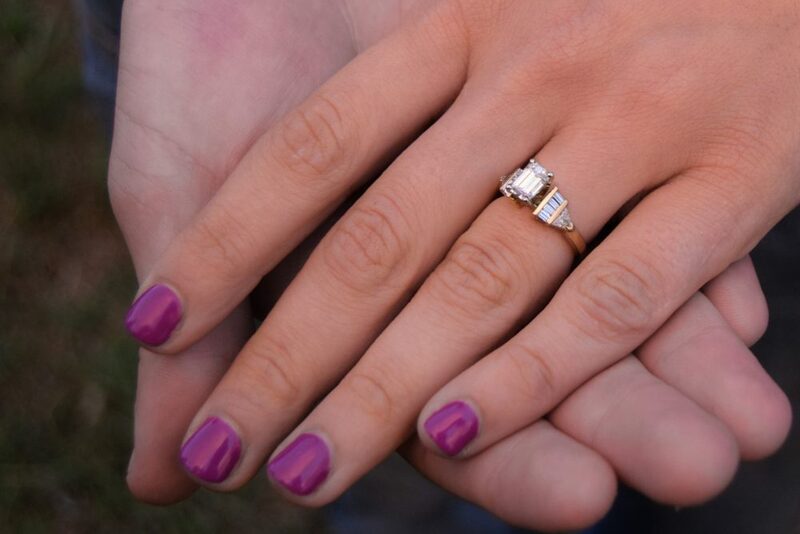 Quincy Cellars offers sincere best wishes for an amazing marriage and life together. 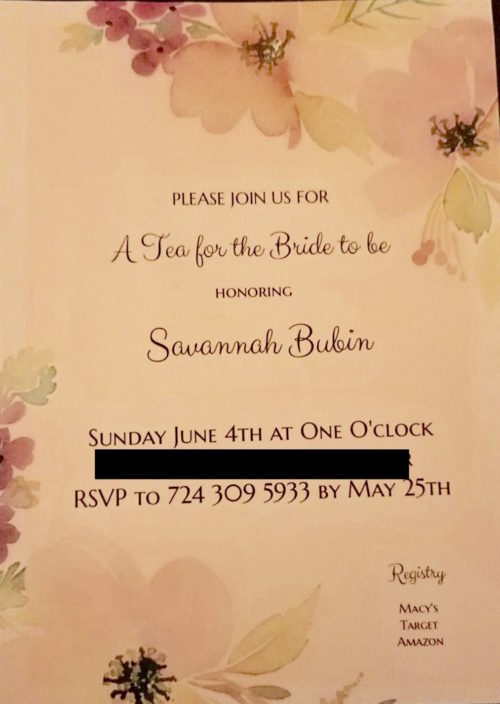 Savannah’s future mother-in-law and sister-in-law, Laurie and Katie DeMayo host an elegant tea in honor of Savannah. 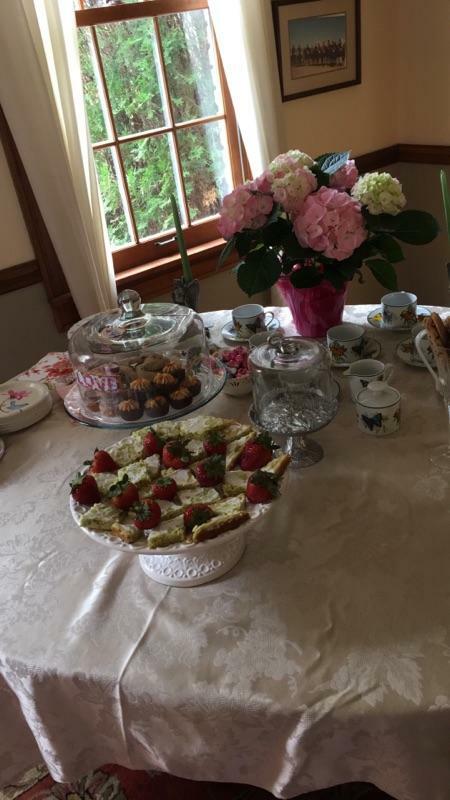 The ladies hosted the bridal shower tea in the DeMayo home in Ligonier, Pennsylvania. Mostly local friends and family attended the shower. Chris’ (groom-to-be) out-of-town aunts traveled from New Jersey for the tea as well. Savannah’s future father-in-law toasted Savannah to kick-off the party, despite a ladies only tea. Chris also made an appearance at the end of the party with a lovely bouquet of flowers that he presented to Savannah – so sweet! “From Savannah’s Shower to Yours”. The table is set for Savannah’s bridal shower tea. Party hosts and bridesmaids organized several games for the guests to play. First, there was an over/under game where party-goers guessed facts about the bride. Next, the ladies played a wedding themed Mad Libs game. The group voted on the best and the funniest entries to award the winners. In more modern terms, the party played a wedding emoji decoding game while they also played the traditional what’s in your purse game. Savannah was a little uneasy being the center of attention while unveiling her gifts. She and Chris received many items from the bridal registry. Savannah tells us she truly appreciates how every guest added special additions, creativity and greeting cards to each gift as well. 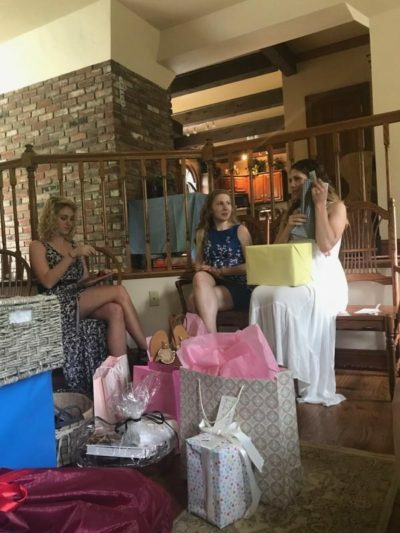 Savannah opens bridal shower gifts. Everyone is excited as the wedding date inches closer and closer! 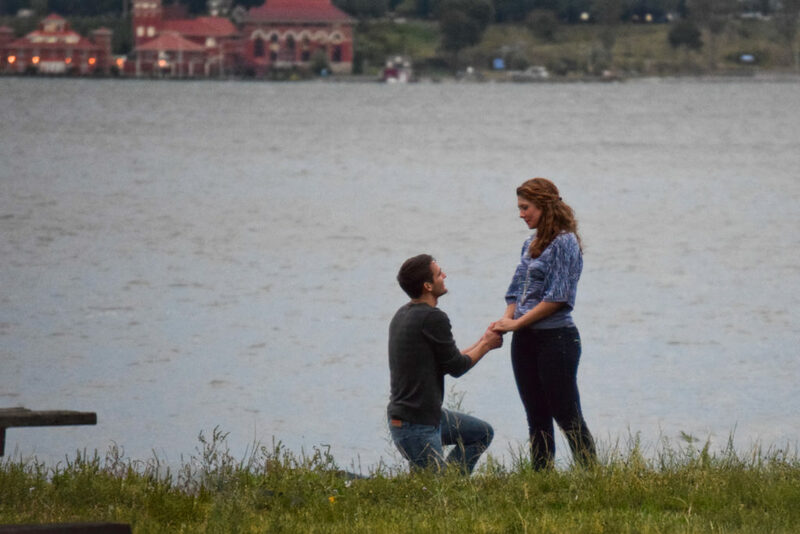 With pleasure, Quincy Cellars introduces 2017 featured couple, Savannah and Chris. 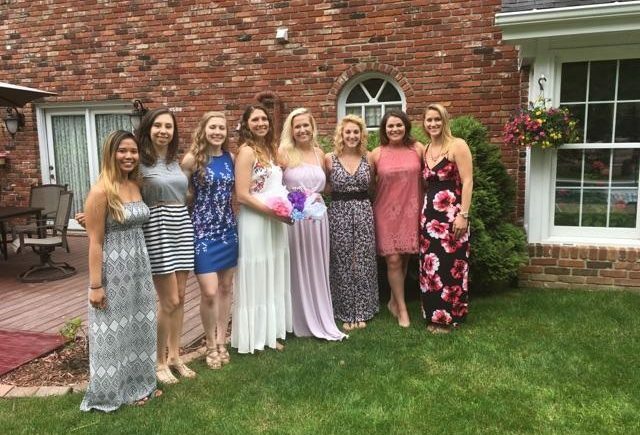 Bride-to-be, Savannah Bubin is a recent graduate from Gannon in the Doctor of Physical Therapy program. She practices early intervention for children with special needs at a local behavioral health center. Her fiance, Chris DeMayo, also works with children and is an elementary school art teacher and soccer coach. Savannah and Chris both have big hearts working in helping professions. 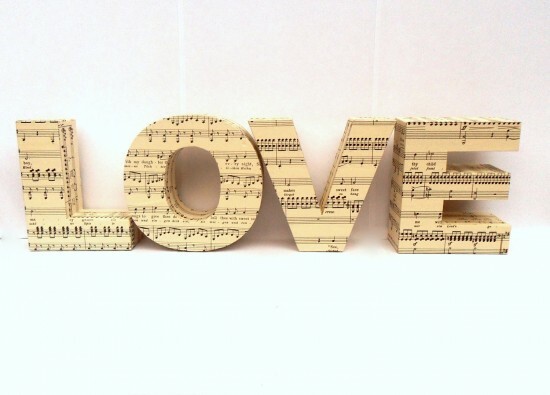 They also embody romantic love. Their love for each other is steadfast, lasting throughout high school, college, graduate school and now marriage! The high school sweethearts started dating at ages 15 and 17. They attended 3 proms together. 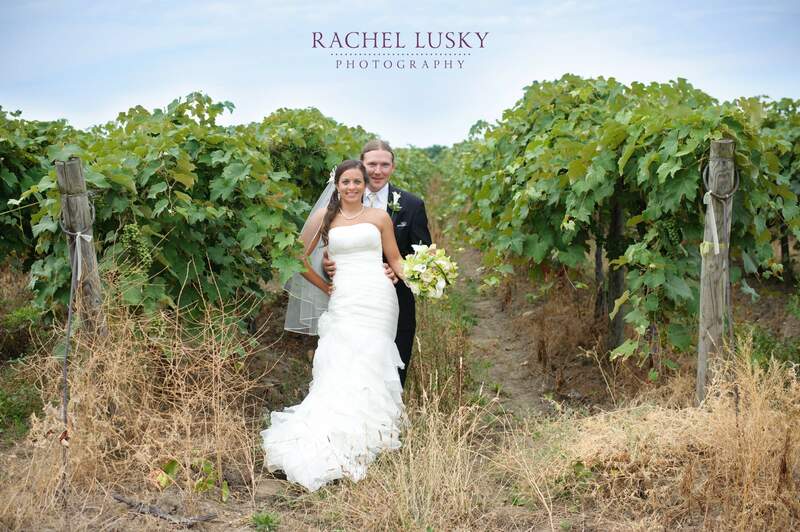 Their wedding day at Quincy Cellars will create many many more romantic memories beyond prom! Savannah and Chris are from Ligonier, Pennsylvania. Ligonier is named the “Best Mountain Town in America” due to its history and variety of specialty shops. The town is nestled in a picturesque valley which adds to its allure. The natural beauty of this small town sparked the couple’s affinity for the outdoors. Chris and Savannah chose Quincy Cellars as their wedding venue because of its natural beauty and professional staff. 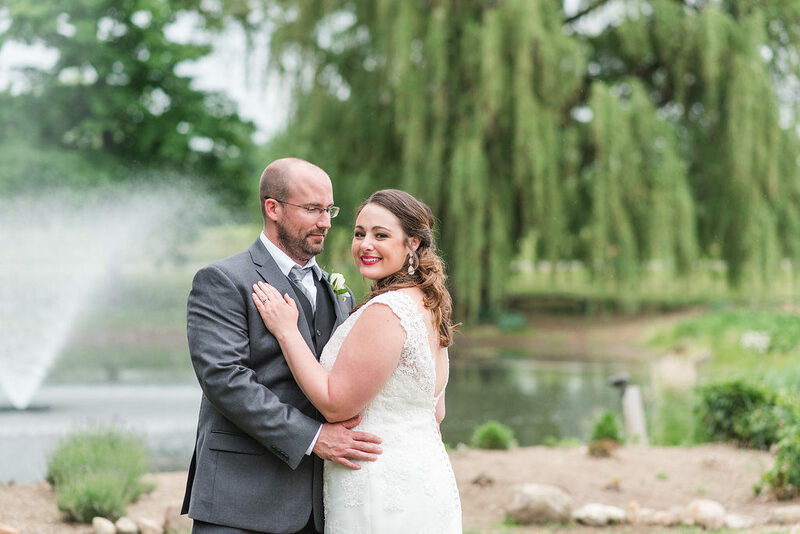 They were looking for a romantic, natural feel and immediately fell in love with the rustic beauty at Quincy Cellars. And to their delight, the event coordinator Amy Nolan is amazing and anticipated all their questions with ease. 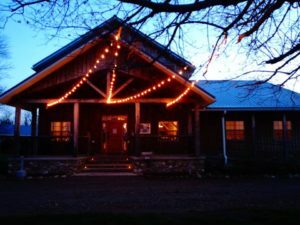 The wedding ceremony, cocktail hour and dinner reception are all planned at Quincy Cellars Saturday, August 12, 2017. 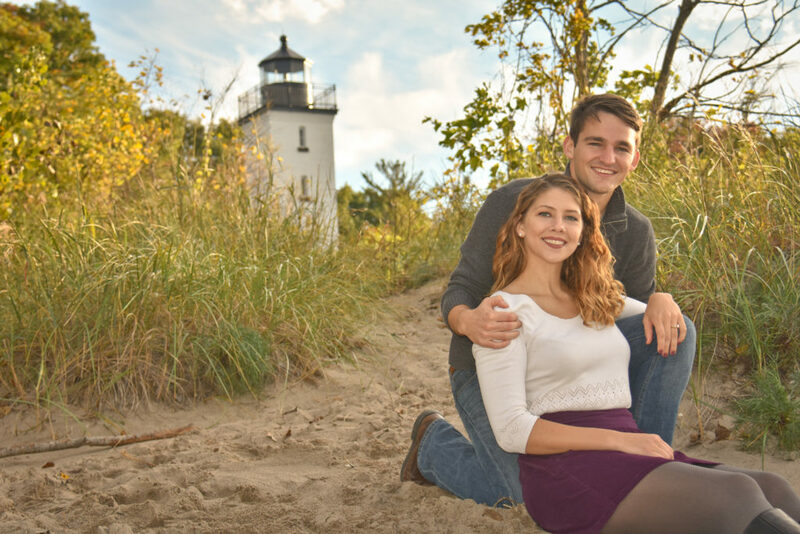 Savannah and Chris are shown here at Presque Isle State park. The photo emphasizes the couple’s love for nature. 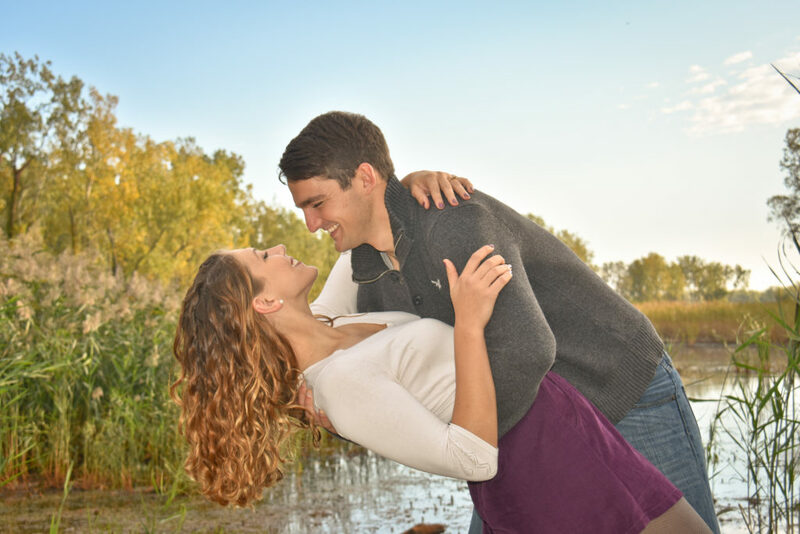 Savannah’s exquisite beauty, Chris’ handsome charm and their obvious love for one another underscores the natural backdrop. Can’t wait to see Savannah and Chris’ raw elegance exude at Quincy Cellars in August! Once the bride and groom are officially Mr. and Mrs., Make You Mine by High Valley will play. High Valley is a relatively new country duo that sings this catchy tune. The female character in the song is a Sunday Morning Hallelujah. A fitting song as we know Katie is that sweet. Katie keeps up tradition with having the bouquet and garter toss – Wanna Be by the Spice Girls will be spun by the DJ during the bouquet toss. 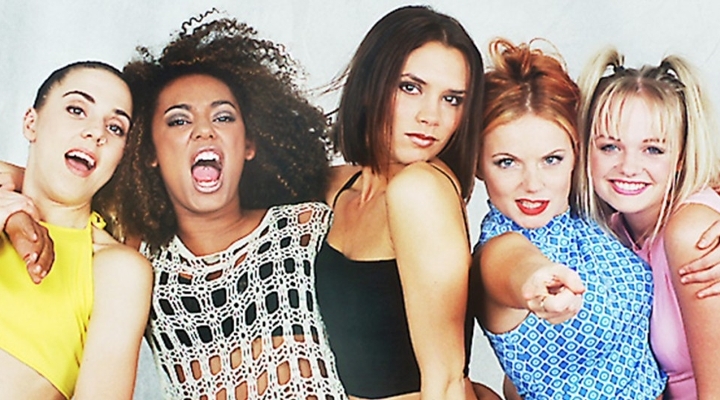 (Yes, the 1996 hit performed by Scary, Sporty, Baby, Ginger and Posh – there is a video remake that was released this year). 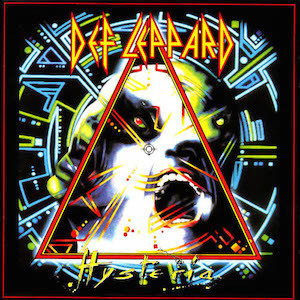 Def Leopard’s Pour Some Sugar on Me will play during the ceremonious garter removal. From the Ground Up by Dan + Shay will kick off the couple’s first ever dance as husband and wife (#ACoupleofBucks). Dan + Shay are another male country duo who know how to tug at your heart strings. From the Ground up is a beautiful composition the team created to show the love their respective grandparents had for each other (each set was married over 65 years) and the personal love each holds for his wife. I don’t know when it’s going to feel real!!!! I am so excited! They worked together to pick out readings that will be part of the ceremony. Again, brides and grooms loosely follow the faith-based format of a wedding and like to choose modern verses that are a mix of faith-based and secular prose for each part. Readings are a representation of the couple’s personal story. Katie made a Snapchat geofilter for the wedding. 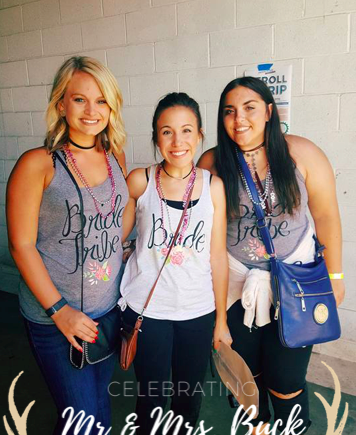 The geofilter is a fun touch for her friends who use Snapchat. 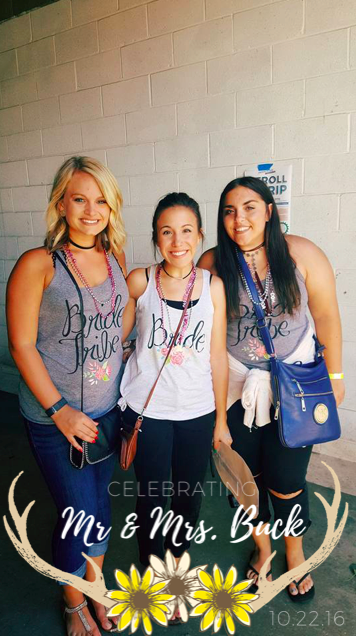 A snapchat geofilter is a graphic that anyone can create to use as an overlay for photos, videos and moments. 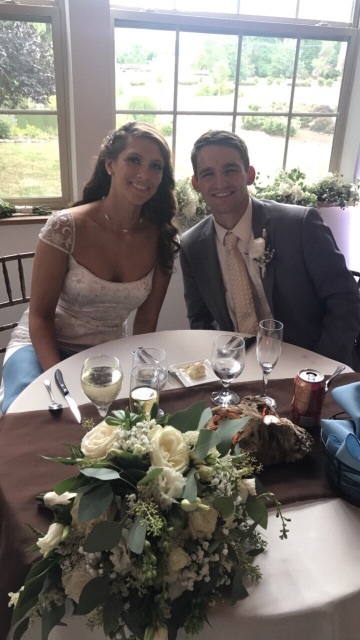 The geofilter is limited to a time and place and so if a Snapchat user is at that time and place (Katie and Matt’s wedding weekend) and wants to post on Snapchat, they may use the geofilter as part of the post. 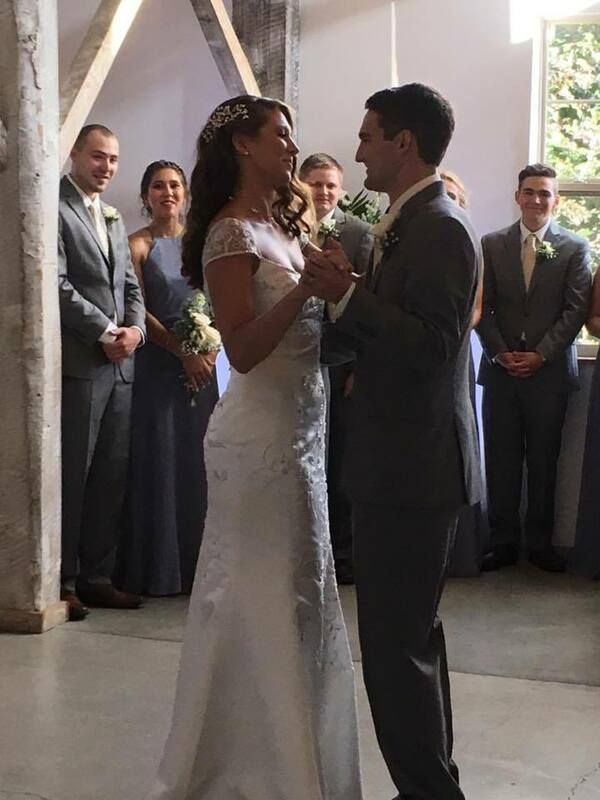 It is a visual way for Snapchat users to quickly recognize and search for anything related to Katie and Matt’s wedding event. Sweet. And remember their hashtag #acoupleofbucks. The hashtag is another trendy touch for friends, family and wedding guests. 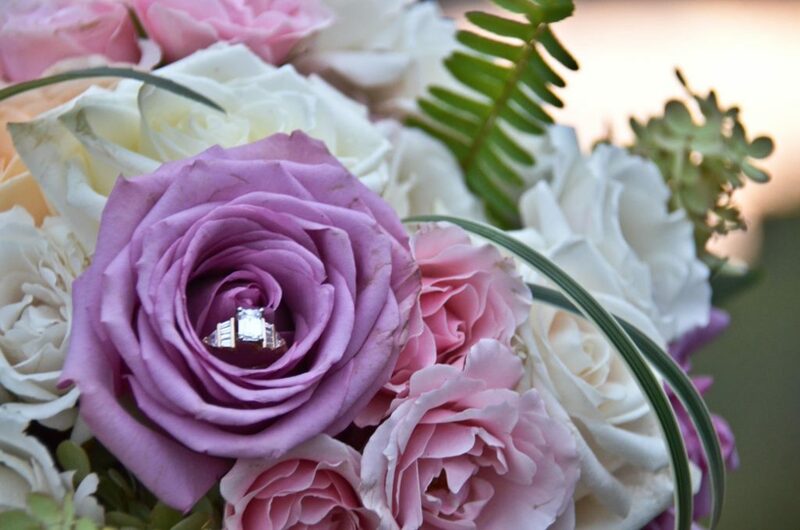 Everyone is encouraged to use the hashtag to tag and search all wedding-related posts across social media and the web. Katie thankfully found her seating chart to be a relatively easy process and recently finished it. She heard horror stories about completing them but states she was able to piece hers together perfectly! She will have a traditional processional and recessional for the ceremony as well as a grand entrance to the reception and bouquet toss. The DeeJay will play music for all these moments. Katie was tasked to find the right song for each. She found this task challenging. Creating the song with just the right feeling, tempo and lyrics was harder than she expected. Again, she referred to Pinterest for tons of suggestions. Katie and Matt have chosen a wonderful blend of new and old to make for a very special storybook day. And we cannot say it enough how excited we at Quincy Cellars are to be part of it! See you this weekend! 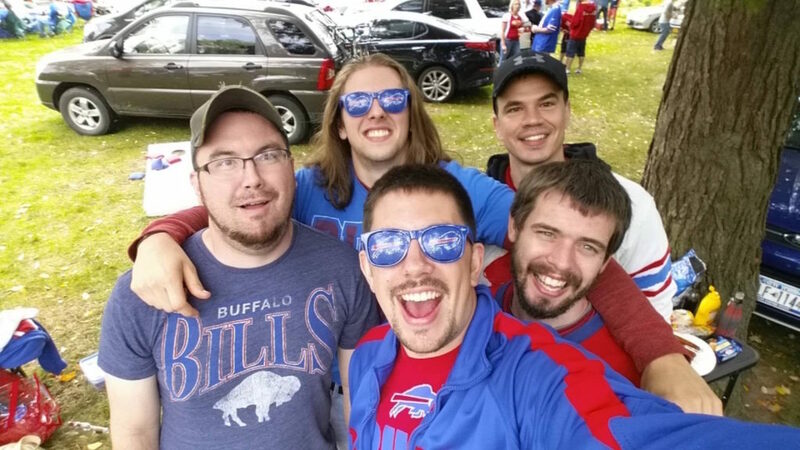 Matt’s bachelor party will be a classic one – a Buffalo Bills game outing! 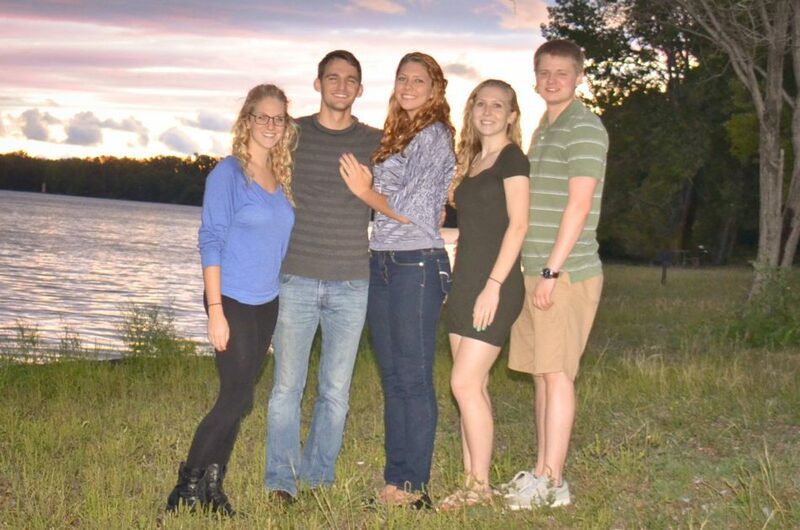 Matt’s friends and family truly know him – he is a number one fan! With amazing Fall weather, Matt and his 4 groomsmen camped out last night near Bradford and are headed to the game. The Bills are on a 3 game winning streak and play the San Francisco 49ers at 1 p.m., today, October 16 at New Era Cap stadium in Orchard Park. It will prove to be a day to remember! 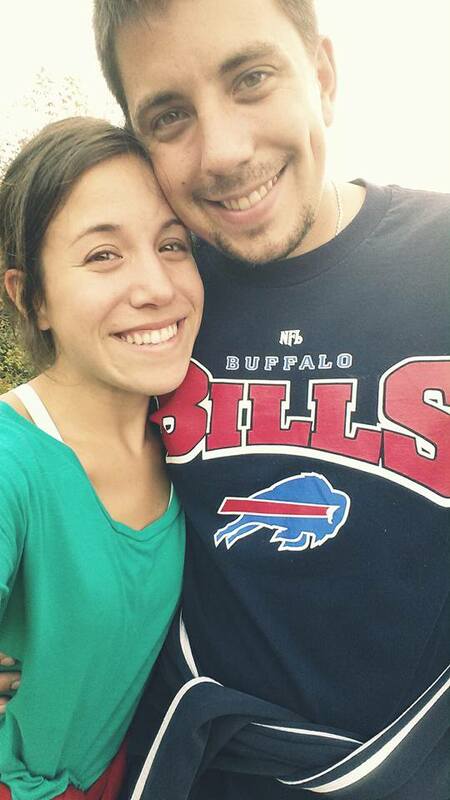 Matt sporting his Bills shirt on the couple’s engagement day! Matt and buddies at his Buffalo Bills Bachelor tailgate. 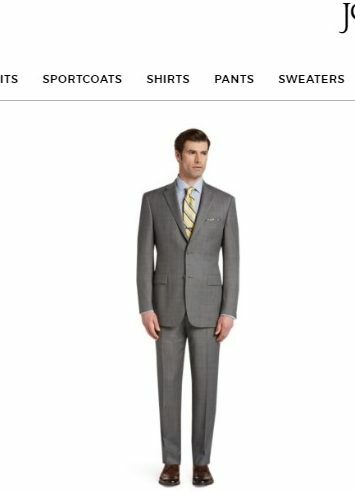 The tailgate will be pretty basic for Matt who isn’t into frills. Lots of chips and dip, cheese puffs and hot dogs with a trunk full of Miller Lite. 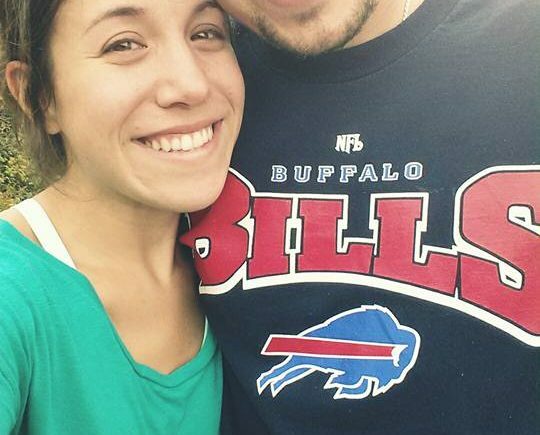 If watching or streaming, look for the soon-to-be groom and his buddies decked out in Bills gear! Their seats are in the tunnel end-zone right behind the goal post. The seats are prime for cheering the Bills entrance. 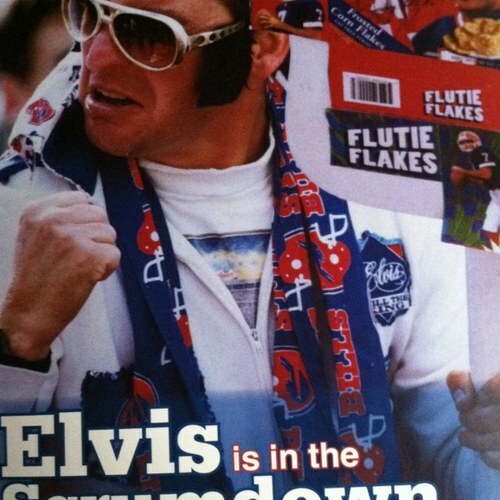 And, hey – maybe they will get to see End-zone Elvis. The Bills kept the winning streak alive and won 45 – 16! !